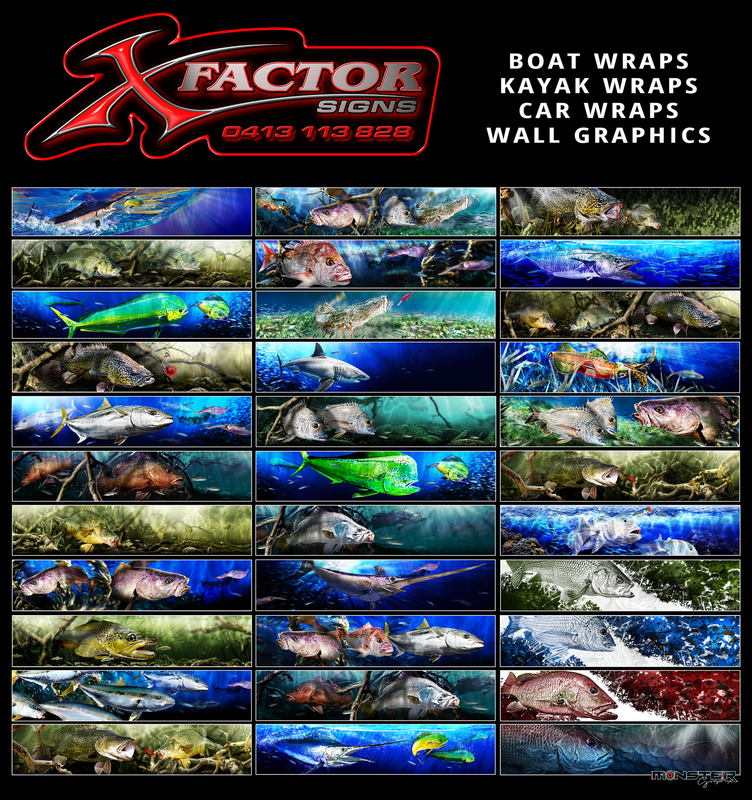 XFactor Signs Stock boat wraps consist of Australian made art drawn by fisherman for fisherman. 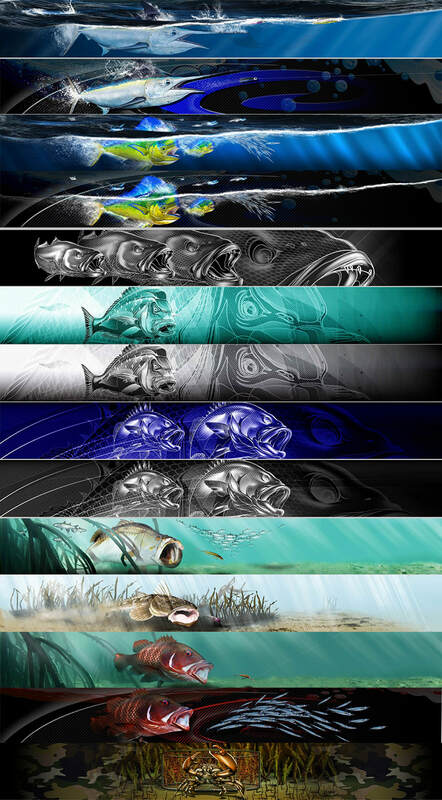 With over 20 yrs experience in Fishart why would you choose anything else. 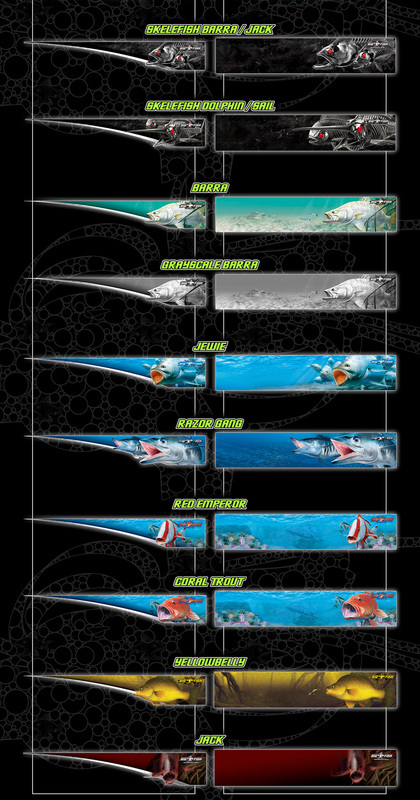 All designs can be made into half wraps and full wraps.